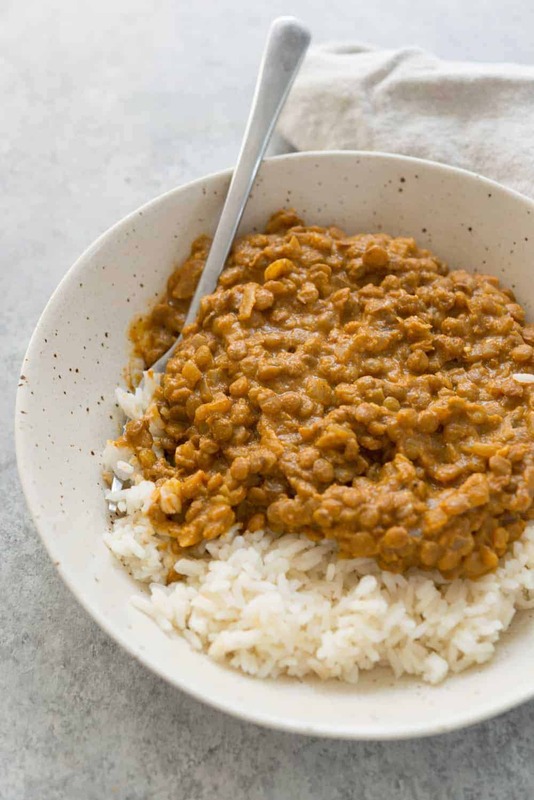 I’ve got an easy weeknight recipe for you this morning, vegan lentil masala. This is the dish that I make when I want something comforting, delicious and pretty easy to put together. A pretty basic recipe but one that I consider to be a back-pocket recipe. 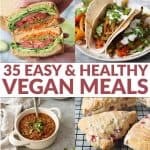 Something to keep when you’re not quite sure what to make for dinner and you don’t have time to go to the store. Sometimes I serve this with chopped greens stirred in, sometimes I’ll make a salad to go alongside but most of the time I eat it just like this. Creamy lentils with rice, maybe some naan if I have it in the freezer. It’s my kind of comfort food and exactly what I’m craving these days as warm days turn to fall. I’m also using cashew cream because I’ve always got cashews in my fridge and it takes less than a few minutes to make a fresh batch of cream. I don’t even bother soaking them anymore, I just pour hot water over raw cashews to soak for ~2 minutes, then drain and blend. It takes a little longer to do so in my Blend Tec, but it’s worth it to me not to have to think about soaking the cashews ahead of time. If you don’t want to use cashew cream, then any other ‘cream’ will work, like unsweetened non-dairy creamer or regular heavy cream. You could also use plain yogurt. I suppose you don’t really need any cream, but I think something is missing without it and the cream helps balance the spice. 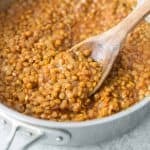 Vegan Lentil Masala! 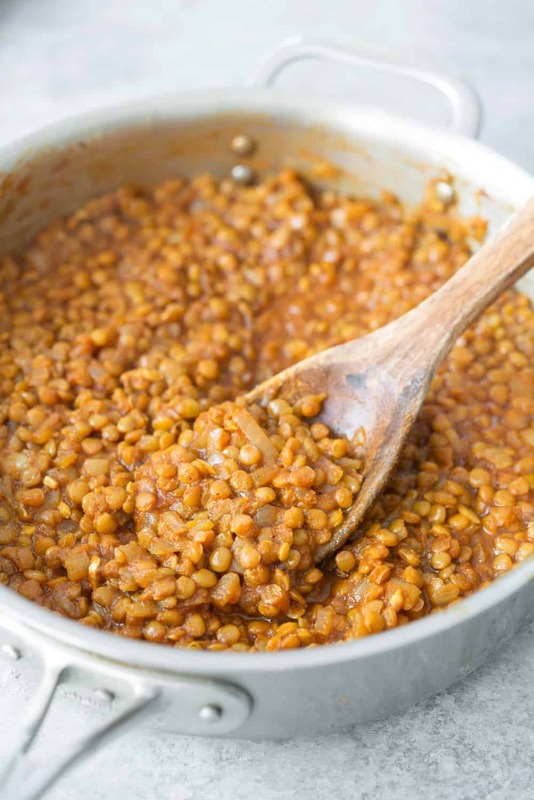 This lentil dish is so delicious and SO healthy! 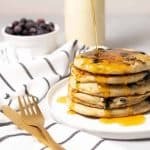 Vegan and gluten-free and perfect for weeknights. 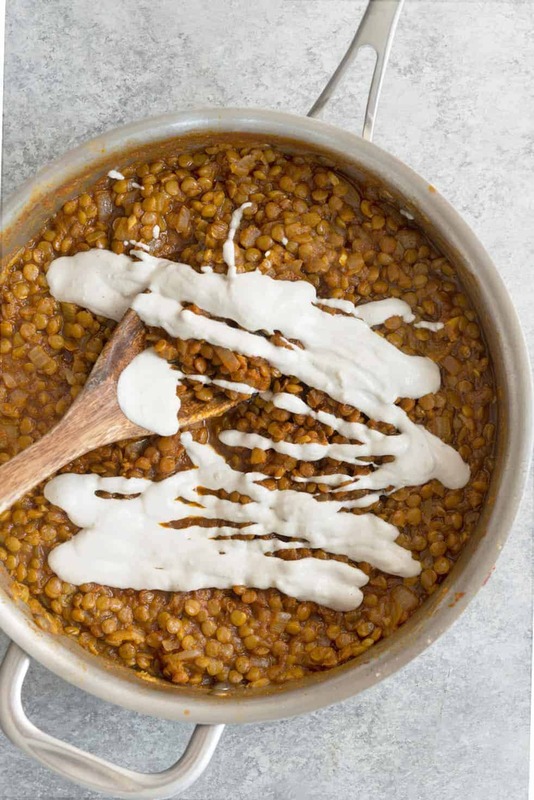 Lentils in a creamy masala sauce. 1 cup white rice (or brown rice, but will need more time to cook), rinsed in cold water. In a medium saucepan, heat the olive oil over medium-high heat. Add the onion, ginger and garlic and cook until softened, about 5-7 minutes. Add in salt and pepper along with the spices. Cook for 1 minute until fragrant. Add the tomato paste and cook 1-2 minutes, or until dark red and fragrant. Add the lentils and 3 cups of water, then bring to a boil. 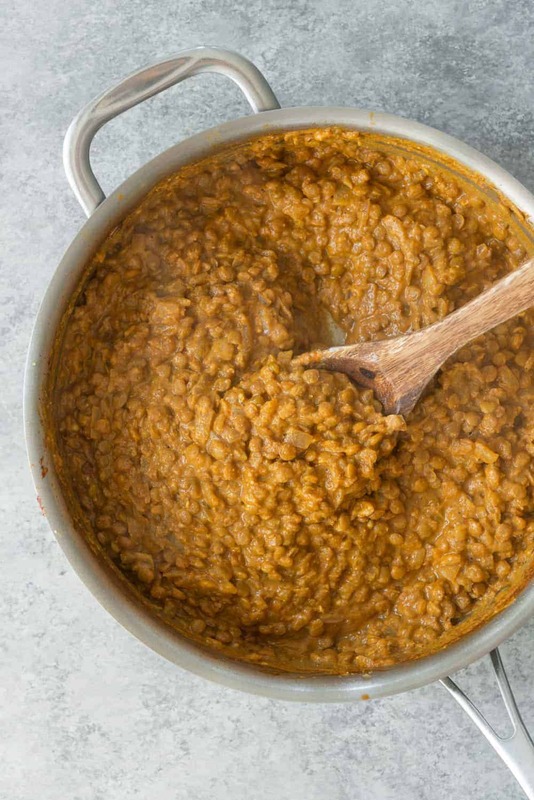 Reduce heat to medium-low and cook, uncovered, stirring occasionally about 30 minutes or until lentils are tender and most of the water has been absorbed. Stir in the cashew cream and 1/2 of the lime juice and season to taste. While the lentils are cooking, bring 2 cups of water in a separate saucepan to a boil. Add the rice, then reduce heat to medium-low and cover, cooking until rice is tender. When rice is tender, fork to fluff, then add in the rest of the lime juice, zest, 1/2 teaspoon salt and 1/4 cup finely chopped cilantro. To serve, divide the rice among 4 bowls and top with lentil masala mixture. *For cashew cream: puree 1/2 cup raw cashews and 1/2 cup water together in a blender until creamy and thick. Depending on the power of your blender, this may take 2 minutes. Set aside, you might not need all the cashew cream. Amazing! Such a simple recipe but WOW the flavors are out of this world. Thanks for another amazing recipe!